Regardless how religious one is, many stories in the Bible are familiar because many of the stories have been the inspiration for countless artistic endeavors. Usually, one doesn’t even have to practice a faith or be spiritual to know the story of Jesus Christ, and whether one does believe or not, does not hinder the amazing storytelling the Bible offers. The latest offering from Third Wall Productions, the popular Jesus Christ Superstar, with Music by Andrew Lloyd Webber and Lyrics by Tim Rice, Directed by Mike Zellhofer and Music Direction by Daniel Plante and Choreography by Kristen Rigsby reminds of those stories and how they can be presented in a modern, yet simple format making it extraordinarily entertaining while staying on message. Jesus Christ Superstar, still going strong after more than 40 years, is loosely based on the Gospels of Matthew, Mark, Luke, and John and tells of the events during the last week of Jesus’ life while touching on his relationships with Judas Iscariot, Mary Magdalene, the Disciples, and the Romans, culminating with the Crucifixion and death of Jesus. Taking place in the Sanctuary of the St. Thomas Episcopal Church, the overall design works quite well. With no actual set, lighting is mainly used to distinguish between scenes and Light Design by Jim Shomo connects the scenes smoothly, setting the mood for each. At times, the lights are overwhelming and a bit too flashy, contrasting with the minimal look of the entire production, but, in general, Shomo does an extraordinary job lighting this space – a type not often used for traditional theatre. Costume Design by Amy Rudai is traditional and simple, fitting with the production very nicely. Rudai does elaborate on a few of the costumes such as those for Pilate, King Herod, and the Pharisees but not so much as they stood out so much they are a distraction, but gave the production a skillful balance and authentic look. Choreography be Kristin Rigsby is on point for this production. She seems to really know her cast and her choreography accentuates their talents and abilities and keeps the production moving and exciting. Rigsby’s cast of able featured dancers (Jillian Arnold, Grace Volpe, Elizable Volpe, Grace Dillon, Andrea rudai, Maggie Flanigan, Clare Green, Kali Baklor, Brooklyn Ritter, and Jennifer Alexander) are definite highlights of this production and the choreography is well though-out, well rehearsed, varied, and fresh. Music Director Daniel Plante is superb and he has this cast singing in harmony and with gusto. The ensemble of this piece is strong and adds great value to the production as a whole. With such a familiar score, it can be difficult not to imitate the many previous renditions but try to add a crazy spin on the material but Palante seems to understand that less is more and keeping it traditional isn’t such a bad thing sometimes. Under Plante, this ensemble is well rehearsed and does an extraordinary job with the material. It’s worth mentioning that, once again, the Pit Orchestra is phenomenal and gives a splendid performance. Consisting of Conductor Andrew Zile, Marshall White on Trumpet, Alan White on Horn, Kevin Jones on Bass Guitar, David Kistler on Lead Guitar, W. William Zellhofer on Piano, David E. Booth, Jr. on Reeds, Winfield Clasing on Drum Set, and Daniel Plante on Percussion, this orchestra is one to be reckoned with. Kudos for a job well done! Michael Zelhoffer takes the reigns of this production and kudos to for telling this timeless story in a way that is entertaining but not overwhelming for the senses. Hats off to Zelhoffer for a fantastic production. Many Andrew Lloyd Webber productions can be put in to the category of “Extravaganza” or even called spectacles (which I personally don’t mind), but Zelhoffer does it right with this piece. Though there are built in restrictions when your stage is the altar of a church, but Zelhoffer doesn’t worry about fancy sets and simply tells the story. That’s what it’s about and he hits the nail on the head with this piece. I appreciate he keeps it simple and let’s the actors and the score do what they are meant to do. He also takes a turn onstage as Pontius Pilate, the conflicted Roman in charge of saying “yay” or “nay” to the Crucifixion and he gives an admirable performance. Moving onto the performance aspect of this piece, The Pharisees, the nemesis of Jesus of Nazareth are played nicely by Anthony Singer (Caiaphas), Harper Craven (Annas), and Brian Becker (Priest 3), who all exude a believable “holier than thou” persona making it easy for the audience to dislike them, in general, aside from a few lyric flubs from Singer, the trio has a great chemistry, look the parts, and give strong performances. Thomas Rendulic portraying King Herod is a delightful highlight of this production. One of the more humorous roles in this piece, Rendulic embodies this flamboyant character and Rudai’s costume design is spot on, all the way down to the gold gladiator sandals. His performance of the upbeat, ragtime “King Herod’s Song” is well done and entertaining, along with superb backup dancers. Timoth Copney tackles the complex role of Judas Iscariot and his portrayal is quite worthy of the well-known character. Copney beautifully expresses the heavy emotion and turmoil of this trouble character and you can clearly see how he delves into the part. Vocally, Copney is powerhouse. Though some parts of some of the songs may have been a tiny bit out of his vocal range, he pulls off featured numbers such as “Heaven on Their Minds” and the title song, “Jesus Christ Superstar” confidently and passionately, making the role and the songs his own, commanding the stage and giving an exceptional performance. 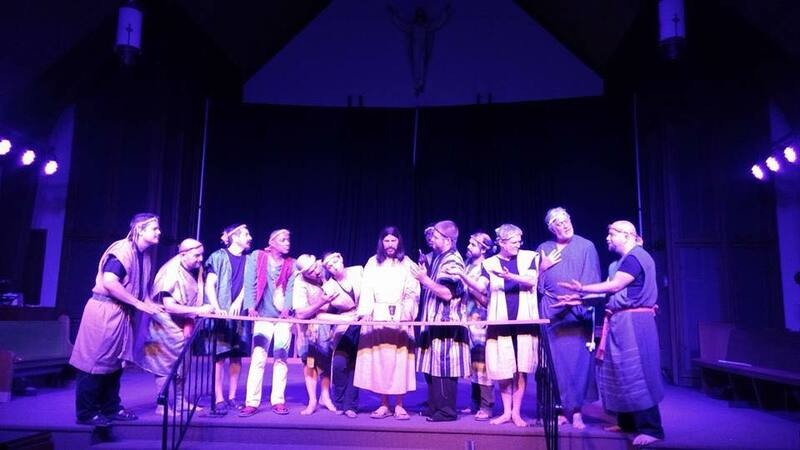 Having performed the role numerous times, James Fitzpatrick as Jesus of Nazareth is glorious. His voice is a perfect fit for this role and he gives a 100% commitment, giving an authentic, passionate performance that commands attention. Aside from a few obligatory high pitched screams that seem out of place, Fitzpatrick’s performance is near perfect and on point both in character and vocally as revealed in his poignant rendition of “Gethsemane,” Jesus’ only solo piece. Overall, Fitzpatrick seems to really understand who he’s portraying and embodies him wholly. 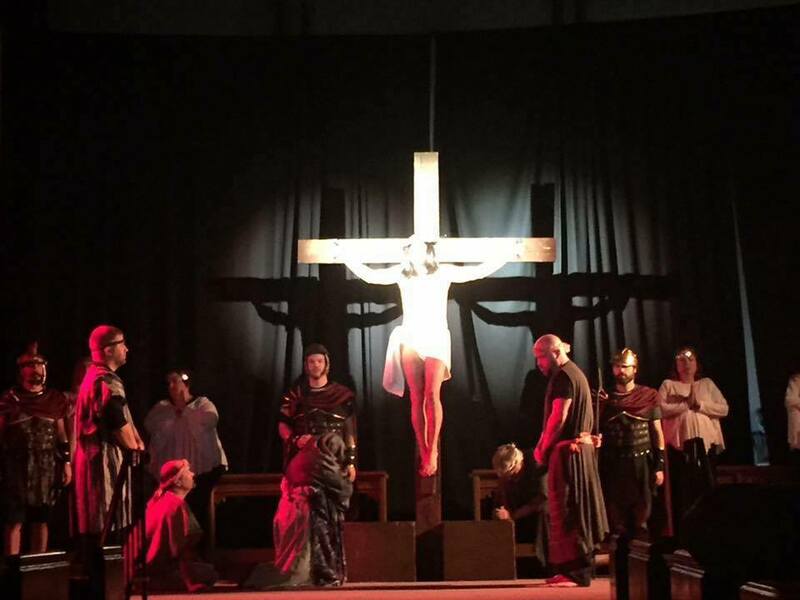 Final thought… Jesus Christ Superstar at Third Wall Productions is a well thought-out and well put-together production that doesn’t slap you in the face with overdone sets or costumes but lets the actors and score tell the timeless story of Jesus Christ’s last days on earth. The familiar score is kept intact and the performers really seen to understand the story they’re telling. Minimal, but entertaining and committed, get your tickets now for this limited run! 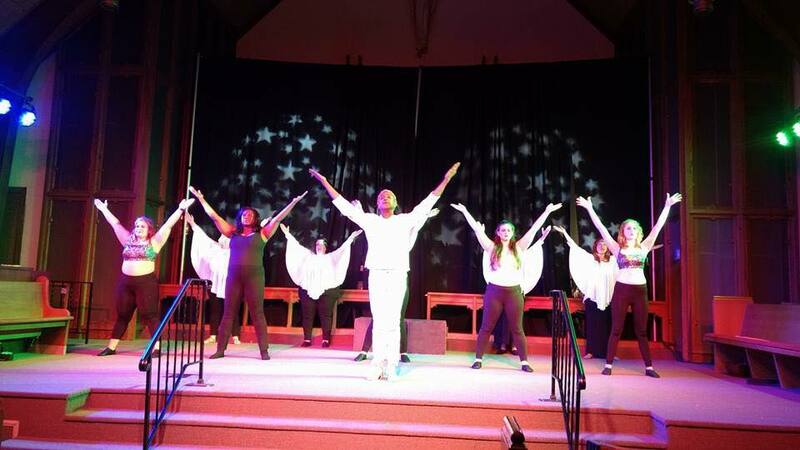 This is what I thought of Third Wall Productions’ production of Jesus Christ Superstar… What did you think? Please feel free to leave a comment! 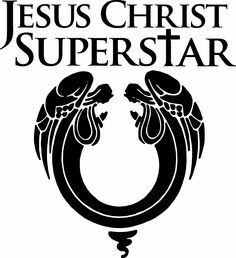 Jesus Christ Superstar will play through July 8 at Third Wall Productions, St. Thomas Episcopal Church, 1108 Providence Road, Baltimore, MD 21286. For tickets, purchase them at the door or purchase them online.